Banyan Retreat is a small not for profit, non-residential day retreat in the heart of Kent. We offer Natural Healing modalities, Mediumship Development Workshops and Demonstrations to promote Spiritual growth. We work with only the best mediums and tutors and great care is taken with everyone who visits to ensure you are encouraged to progress along a Spiritual Pathway which is right for you. Here is a copy of the thank you letter from Demelza House for the donation of money and toys for the children. A special thank you from Banyan Retreat and the Austin Wish circle members for supporting this worthy cause both with donations and toys – Thanks one again. We pride ourselves on having only the best tutors working with us here at Banyan Retreat. we are blessed to have people like Eileen Davies, Scott Milligan, Christine Morgan, Mavis Pittilla, and many many others who uphold high standards of mediumship. We have a number of workshops and demonstrations taking place each month. We have achieved stage four accreditation with UK healers and British Alliance of Healing Associations for our certified two year Spiritual Healing Course. We teach Tera Mai Reiki and Seichem as we believe this is the most balanced form of Reiki Mastership available. Banyan Retreat is dedicated to the work and communication of the spirit world. This work is the primary reason why we are here. Our goal is to help as many people as possible get in touch with their inner self and the infinite possibilities the spirit world has to offer. Learning to love and learning to give means becoming increasingly selfless, only by doing this and connecting with our inner self can we express ourselves and evolve. Communication take place here each month in the form of Private Sittings, Evenings of Mediumship and Trance Communication Evenings and Physical mediumship seances. When touched by the spirit world your inner light shines much brighter and you find an inner sense of peace and wellbeing. Natural Healing is Non medical treatment which promotes better health; analysis of your lifestyle, diet, sleep, exercise and most importantly your stress levels. Promoting greater harmony between Mind, Body and Soul. How Will it Help You? When we have a build-up of stress, our bodies are slow to respond to instructions from our brain. The nerves are tense and message communication with our brain is slowed as a result. All treatments are designed to reduce the effects of stress and induce deeper relaxation. This allows our bodies to function properly. Take a look at the treatments we offer and see how and why they will help you. German Shepherd Rescue Elite – we help to rehome rescue dogs throught the Kent region. All our dogs are rescue dogs and we have supported this charity for a number of years. 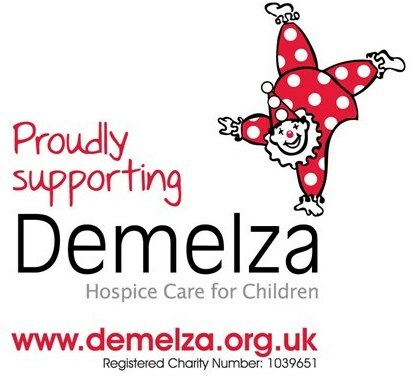 Demelza House – each year at Christmas time we collect toys and gifts for the termially ill children who are supported by Demelza House. Eileen is one of the UK’s leading mediums – come and join her for an educational mentoring experience to remember. This is a unique opportunity to obtain regular coaching, tutoring and mentoring with the highly acclaimed medium Eileen Davies. Eileen has many years experience in this field and teaches regularly at the Arthur Findlay College, Kingswells House and Banyan Retreat. This year Eileen will be including guidance for those who teach or run their own circles/groups. Come and join us for this great experience. Scott will be focusing on Altered States and encouraging you to blend wiht the power to enhance your mediumship. Developing your trance mediumship to become a clear channel is quite challenging as we live in a physical world where we need the presence of ego to survive. With trance mediumship we work to supress the ego, remain relaxed with a calm mind allowing the spirit world to dust our consciousness and influence our minds.